It started off with the poet, Andy Tooze working with all the children; performing poetry, creating poetry and explaining poetry. 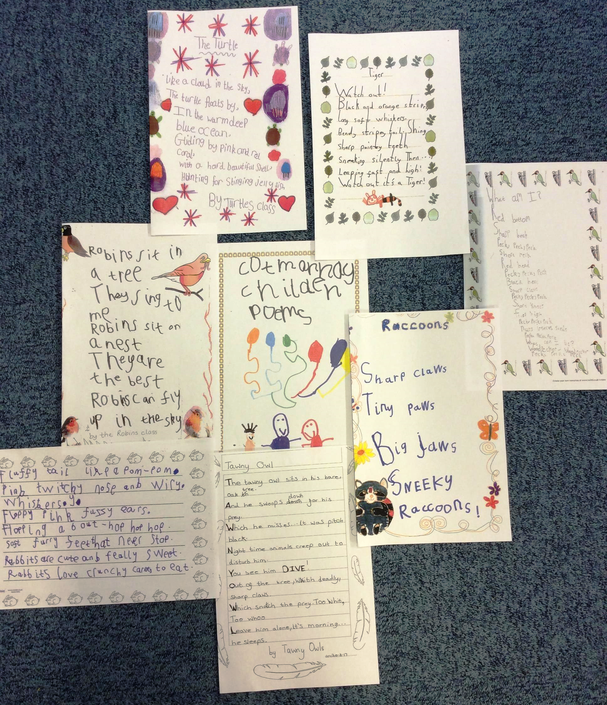 Each class then followed this by creating a class poem and performing this to our parents and families. We made these poems into a school poetry book. They are available for just 50p!